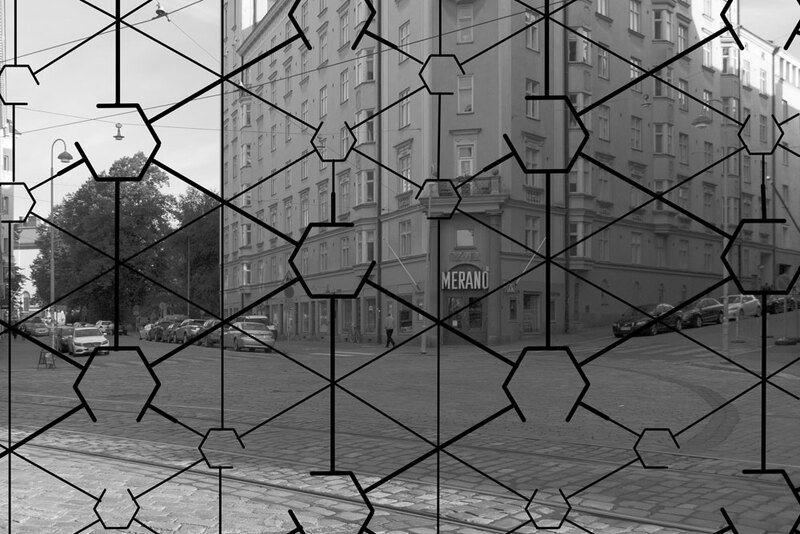 The exhibition Five corners features work by three artists who reflect on the urban space around the Viiskulma intersection in Helsinki. This landmark site, where five streets cross, demarcates the border between two historically opposing neighbourhoods; inner city development has resulted in a shifting of the economic specificities of the area where a once working class neighbourhood buttressed an affluent one. The unique layout of the five-corner intersection is referred to in the works in the exhibition. Shoji Kato’s sculpture invoking a miniature landscape suggests a prehistoric geography of hills and passes that led to the unorthodox tracing of the city streets. Paul Landon’s drawing maps a constellation of five-pointed structures that relate to urban architecture and design and to how these are embodied to shape our perception and model our mental geography. Marjatta Oja’s site sculpture uses an array of video channels to present multiple viewpoints on the intersection as told first-hand in interviews with its residents. The ongoing history of the neighbourhood is a background for these accounts suggesting that the urban transformations are outlived and superseded by the everyday lives of those inhabiting it. Kato’s geographical tracings, the rubbings of cobblestones and a photograph of an abandoned quarry, suggest the passage of time and the passing of traffic, human, animal and mechanical, moulding the landscape and shifting the urban setting. Urban transformation is likewise evoked by Landon’s cardboard and wood reliefs of cinema interiors; the disappearance of local cinemas, characterised by the marquee sign of the Merano, a cinema closed over a decade ago, that remains an architectural feature of the intersection, is a symptom of the changing social functions that built space undergoes in the city. While drawing no conclusions as to the possible futures for the Viiskulma neighbourhoods, Kato, Landon and Oja look to its complex presences and pasts to reflect on its potential. Leila Sujir’s latest project Forest! 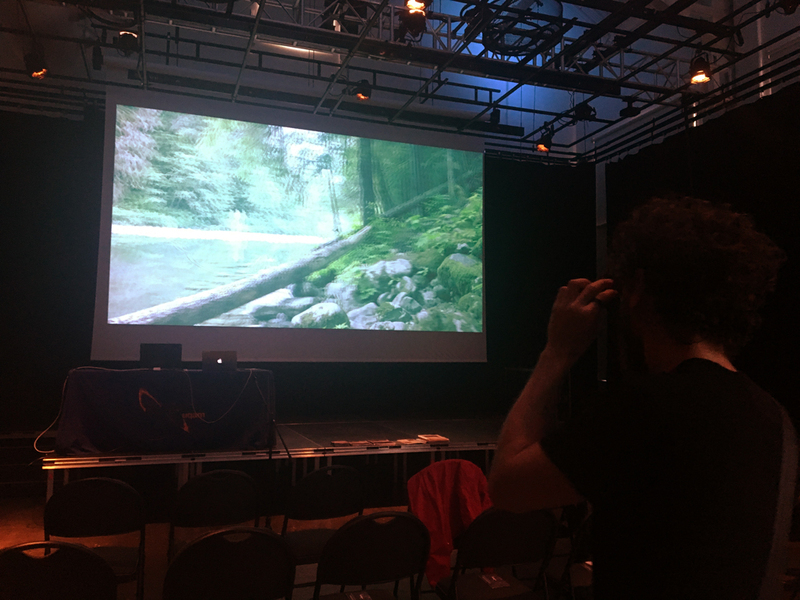 was presented during Montreal’s Media Art University Laboratories tour at UQAM October 18th, 2016.